Beyond the practical limitations that hamper everyday life, losing part of one’s body also takes a psychological, emotional and social toll. People with these injuries learn to adjust and function, but they may never feel quite whole again. The law firm of Bracamontes & Vlasak, P.C., has successfully advocated for victims of amputation accidents in the San Francisco Bay Area and Northern California. Our experienced injury lawyers hold negligent parties accountable for the economic loss and the profound impact on quality of life. Our personal injury practice has a record of notable recoveries in cases resulting in catastrophic injuries. Call 415.835.6777 for a free consultation to discover how we can help. Our attorneys are skilled at identifying all liable parties and establishing the negligence, safety violations or reckless actions that contributed to the accident. We file lawsuits to preserve our clients’ rights and put the negligent parties and their insurers on notice that we are prepared to go all the way to trial. 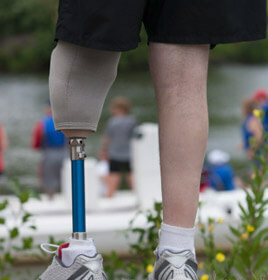 We work closely with clients, doctors and many professionals to illustrate the profound impact of loss of limb. Compensation must cover a lifetime of expensive medical care, including surgeries or prosthetics to restore function and appearance as much as possible. Damages must also provide projected earnings if the person cannot continue in a career or work at all. We also strive to compensate clients for the impact on daily living, from physical challenges to loss of favorite activities. Damages for emotional trauma, psychological counseling, disfigurement and social isolation all may apply. Our attorneys know how to cast this abstract harm in concrete terms to maximize compensation. Call 415.835.6777 or contact us online for a free consultation. Bracamontes & Vlasak, P.C., handles injury cases on a contingency basis — no attorney fees unless we obtain a settlement or verdict.